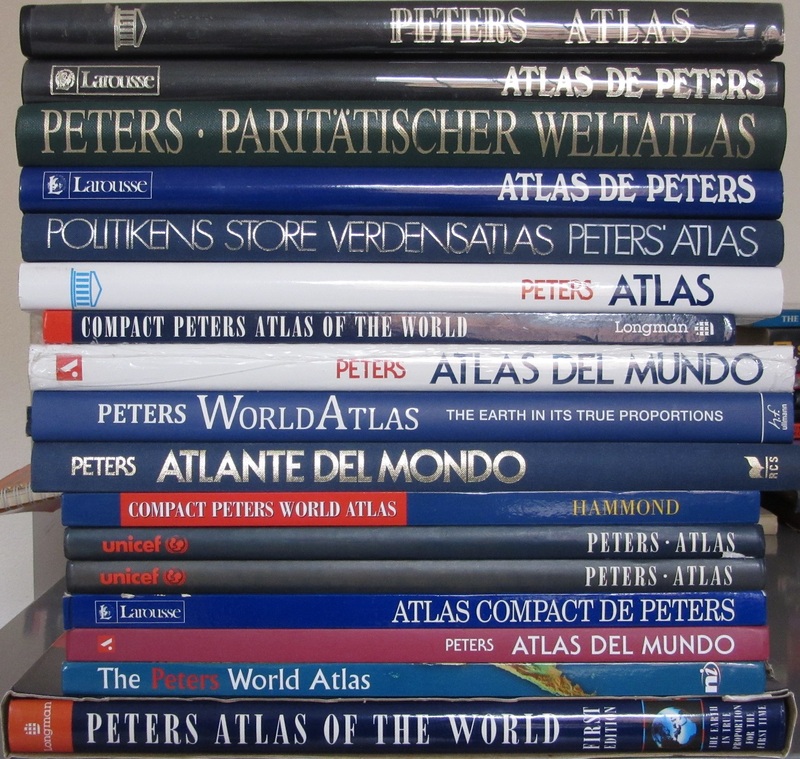 A local cartographic company have downsized, and given the Bodleian their collection of atlases. 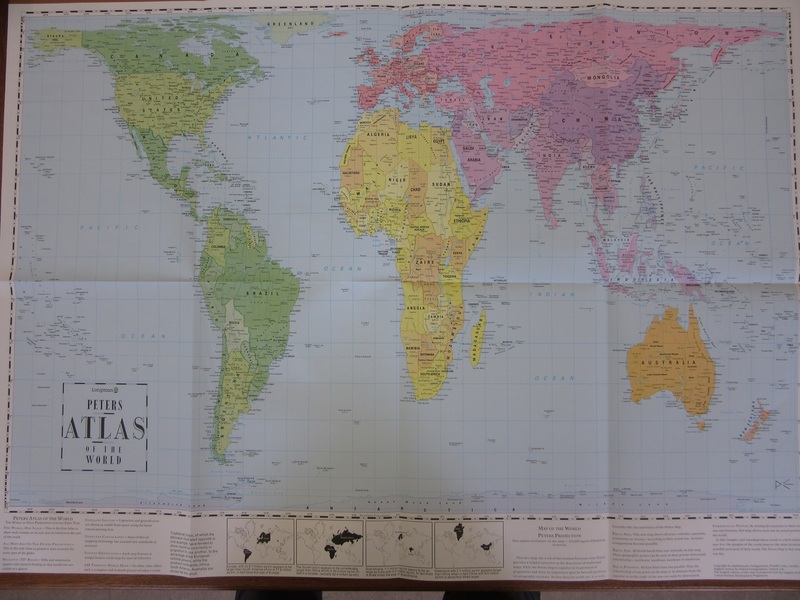 Included in the haul were a large number of works by Arno Peters, creator of the Peters Map Projection system in 1973. These atlases are in a number of different languages, including German, Danish, Spanish and French and will be a welcome addition to the atlases in different languages already held in the map collection. Peters projection was designed to show the world in away that gave, according to the creator, ‘the Earth in true proportion’. The standard projection, that of Gerard Mercator in the 16th Century, was too Euro-centric, argued Peters, and his new projection ‘represented countries accurately according to their land-mass’. This new map, which changed the perception of under-developed countries in the general world view, proved highly popular with its more equal view of the world. Relief and Church organizations distributed millions of copies of the maps. Cartographers immediately took against the bold claims made for the map, arguing that no map could avoid distortion in some form or another. They also pointed out that the Peters Projection was far from unique, similar schemes had been proposed as early as the mid-1800s. This entry was posted in Cartography on 11 May 2017 by stuart.